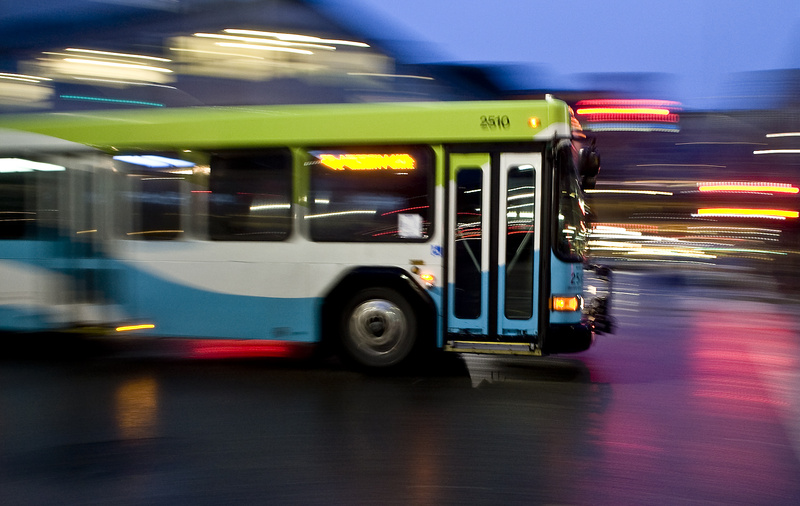 Spokane Transit Authority is as good as gold, or so says the U.S. government. STA last week was presented with a “Gold Standard” plaque from the Transportation Security Administration for meeting TSA’s federal security threshold. Planning, training, surveillance, employee background checks and interagency coordination are factors considered. Federal officials said STA is one of the most secure transit systems in the country. A cadre of federal officials was in Spokane last week to recognize STA for its achievement during a meeting of the STA board. Spokane is among 17 communities nationwide to achieve the gold standard for transit security over the past year. “It’s been a lot of work on their part,” said Robert McGuire, supervisory inspector for TSA. Susan Meyer, chief executive officer at STA, said the agency’s success can be traced to the creation of a security manager position. Mike Toole, who holds the security position, brought with him a wealth of experience in the military and private-sector security, Meyer said. STA’s security program involves a cooperative law-enforcement presence at the STA Plaza downtown. Two commissioned officers work out of the Plaza. In addition, STA security officers have special commissions to supplement the official police presence. Security cameras operate in tandem with in-house monitoring. For special events such as Bloomsday and Hoopfest, buses are searched by federal bomb-sniffing dogs before passengers are loaded. An interagency effort was undertaken last Martin Luther King Jr. Day to make sure that marchers arriving by bus were safe. That effort followed a bombing attempt during the 2011 event. In all, STA complied with 17 elements of security as recommended by TSA. “Safety has always been our top priority,” Meyer said in a prepared statement. Washington State University’s effort to go green got a boost last week with the purchase of three all-electric cars. The vehicles, produced by Global Electric Motorcars, use gel batteries and are capable of speeds to 25 mph, making them suitable for on-campus transportation. One of the cars will be dedicated to providing orientation tours for incoming students. The batteries can be recharged on a 110-volt outlet. Idaho Highway 3, running from the Rose Lake exit east of Coeur d’Alene to U.S. Highway 195 near Lewiston, has been designated as Idaho’s National Medal of Honor Highway. Veterans organizations are trying to raise money to put up signs along the route recognizing the designation for the 13 Medal of Honor recipients from Idaho, Jerry Wombolt said in a news release. For more information or to get involved in the effort, contact Wombolt at (208) 930-4554. An account for the Idaho Medal of Honor Highway Project has been established at Bank of America. Spokane County commissioners last week approved a letter supporting an effort by Spokane Airways to bring the American Bonanza Society to Spokane for a national convention. The society has 10,000 members nationwide and its namesake, the Beechcraft Bonanza, is the longest-running aircraft in production in the U.S., dating to 1947. More than 17,000 of the single-engine planes have been built. Greater Spokane Incorporated has announced that James Albaugh, president and CEO of Boeing Commercial Airplanes, will be its keynote speaker during GSI’s annual meeting Sept. 12. Rich Hadley, president and CEO of GSI, said Albaugh will talk about the future of aerospace in the Pacific Northwest. Boeing last fall announced that it would build the new 737 MAX in Renton, and Spokane business leaders are hoping to snare a piece of future production with construction of a plant near the Spokane International Airport. Two informational open houses are planned to give the public details of plans to rebuild the pavement on a highway bridge over the Columbia River at Kettle Falls. The first of the meetings will take place from 4 to 6 p.m. Wednesday at the Stevens County ambulance training room at 425 N. Highway 395 in Colville. The second meeting will run from 4 to 6 p.m. April 11 at Republic Elementary School. Work is scheduled to start in July and will cause the bridge to be reduced to a single lane controlled by an alternating traffic signal. Periodic nighttime closures are also planned. In addition, loads wider than 8 feet, 6 inches will be required to detour to Northport. The bridge serves both U.S. 395 and state Highway 20. For more Then & Now photos, visit the Then & Now photo gallery.